These days, consumers have endless options when it comes to purchasing light bulbs, but the labels can be confusing! Use the information below as a helpful guide for browsing bulbs. 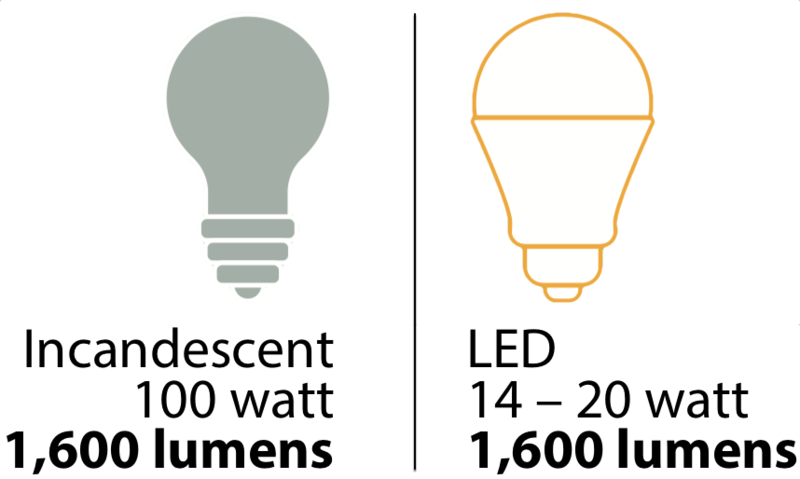 Under the Energy Labeling Rule, all light bulb manufacturers are required to give consumers key, easy-to-understand information on bulb efficiency. Take advantage of the Lighting Facts label, which gives you the information you need to buy the most energy-efficient bulb to meet your lighting needs. 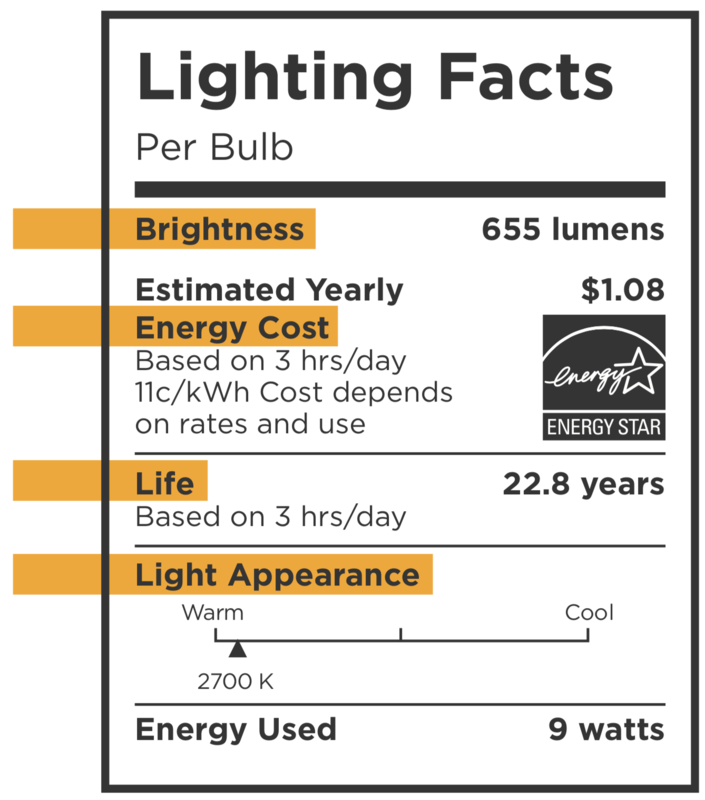 The label includes information on the bulb’s brightness, energy cost, life, light appearance and energy used (wattage). Bulbs are available in many shapes and sizes to fit your home’s needs. Choosing more efficient bulbs can help reduce energy consumption and save you money! LEDs use 25%-30% of the energy and last eight to 25 times longer than halogen incandescent bulbs. Purchase ENERGY STAR-rated bulbs to maximize energy efficiency. Lumens measure the amount of light produced by the bulb. Watts measure energy consumption. Tip: To replace a 100-watt incandescent bulb, look for a bulb that produces about 1,600 lumens.